This is an excellent specimen of Leguminosites from the Green River Formation of Colorado. It is very easy to see that this specimen is directly related to the modern-day Legume. This large leaf is very well preserved and exhibits great detail. There is also a nice Mimosites leaf at the top of the plate. The fossils have great color and contrast and are well positioned on the squared block of oil shale. 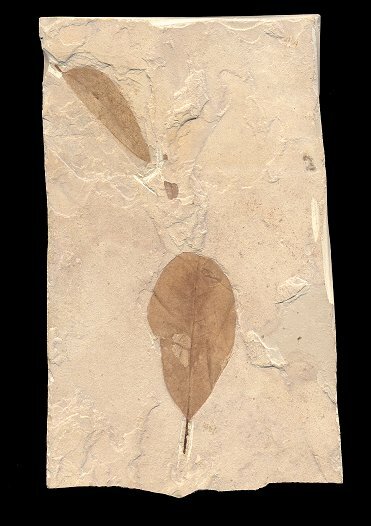 This is a wonderful example of two unusual leaves from the Eocene.